Forget restoration – Think new and save! DIY roof projects are rare in Australia but overseas, especially North America, most homeowners have a basic knowledge of how to perform basic do it yourself roof tasks. Roof restoration is a common choice for homeowners however in my opinion roof’s only have a serviceable lifespan and no amount of paint can stop this. Also surprisingly a totally new DIY roof may not cost a lot more than some roof restoration companies charge. Residential roofing is often reserved for qualified tilers for tiled roofs or plumbers for metal roofs. The reasons for this are basically tile manufacturers are reluctant to sell product to the public at reasonable prices or at all and installation in metal can be a tricky proposition and requires a plumber by law. Asphalt roofing shingles on the other hand are not very difficult to install and provide a real DIY roof installation alternative. Using basic tools found in most backyard sheds an asphalt shingle roof for a patio, pergola, gazebo, shed, garage can usually be built-in a couple of days. A hammer, some galvanised clout nails, chalk line and knife are all you will need to impress family and friends with your weekend DIY roof project. The gazebo roof replacement in the photo above was finished in a weekend. This includes plywood, underlay and shingles. The frame was built the weekend before. 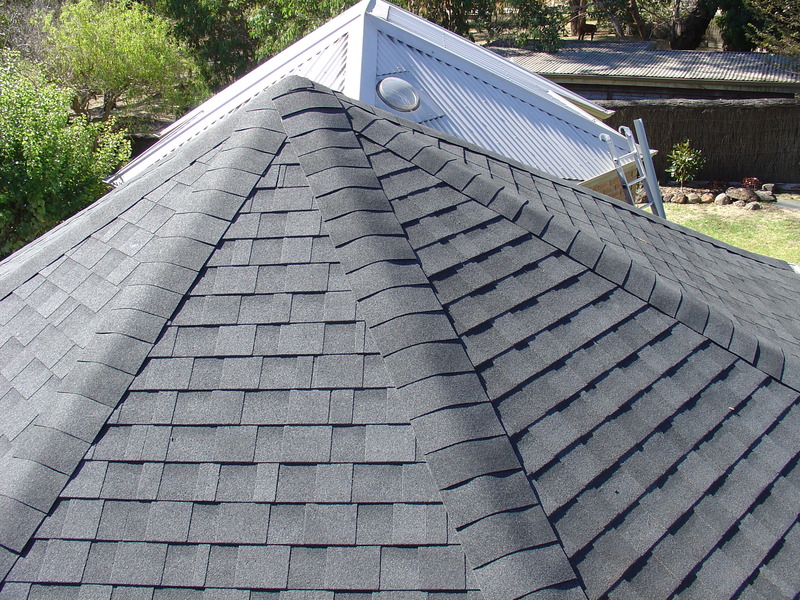 One main benefit of using asphalt shingles is the complete system is lightweight – weighing approx. 18kg/m2. This means you can replace most roof types without having to reinforce the structure. When replacing an old metal roof this is a real benefit. When doing a roof replacement on a tile roof you will literally take tonnes of weight off the roof while making the finished roof much stronger. The 12mm A-bond Structural Plywood cladding gives the structure exceptional bracing qualities and improves sound-proofing dramatically – No more rain noise. In a garage roof or attic space the closed system eliminates dust and vermin entry keeping the area clean. Some people are able to gain a large area for storage in their roof by installing an attic ladder and a floor. This can provide a great place for those items that are not used all that often eg… Christmas tree and stuff. 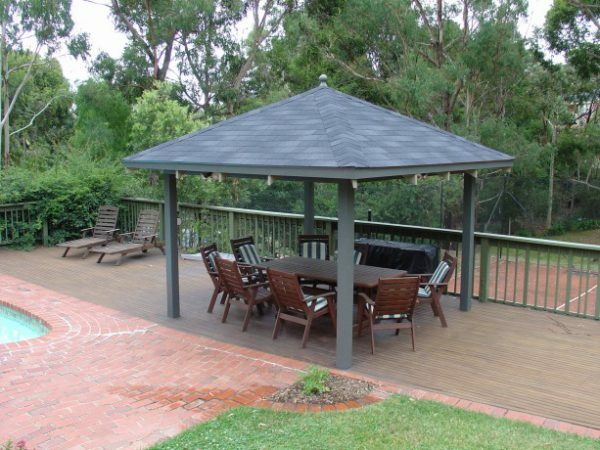 There are real and large savings to be made with asphalt shingle roof installation and many people around Australia are finishing beautiful roofs in their spare time. Here is a photo of a roof made with IKO Cambridge asphalt roof shingles by a happy diy’er. Roof cost savings can be large, often amounting to thousands of dollars. Put simply an asphalt shingle roof consists of a plywood base, covered with an underlay and finally the shingles are nailed down to this. The hardest aspects of this process are making sure everything is straight and level. A chalk line and a tape measure are used to make sure everything lines up. DIY roof installation for your home project is easy with asphalt shingles. Impress friends and family with do it yourself roof’s finished in a weekend. For a detailed installation Guide follow this link.